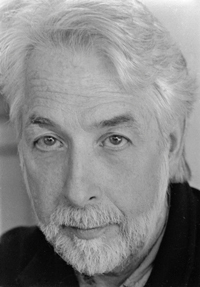 Richard Gingras (@richardgingras), head of News Products at Google, spoke at the Nieman Foundation at Harvard today. I liveblogged it, so let me know where the errors are and I’ll fix them. Ann Marie Lipinski introduces Richard’s impressive and varied background, which is directly relevant to the future of the news and how we interact with content online. On his more rebellious side, he created the Total Information Awareness CafePress shop, whose proceeds go to the ACLU. “Tucked quietly into his bio” is his interest in the transformation of the news business. More directly, he was CEO of Salon Media Group, where he assembled the initial seed funding in 1995, and steered the company through times of revenue growth, audience growth, and eventually, cost-cutting. Salon was watched carefully by many in the news space as fundamental questions regarding online news played out. He starts with his main point: The pace of technological change will not abate, and to think of our current time as a transition between two eras, rather than a continuum of change, is a mistake. There has been tremendous disruption in journalism, but there are upsides: everyone has a printing press, there are no gatekeepers [or at least new gatekeepers], and journalism can and will be better than in the past. We are in the richly furnished library of the Lippman House at Harvard. Richard said one of his more astute predictions was to wear a tie today. It’s clear that many in this audience is more concerned with the disruption to the news business in recent years as they are excited about its future, and Richard’s talk is geared towards those who accuse Google News of destroying journalism. Richard’s been online since the day of the steam-powered modems, which were, one must remember, a huge improvement over sail-powered modems. News has been a big part of his career — his first online product was a broadcast-based news magazine, and he’s developed 6 or so news products since that time, often as editor — but he avoids calling himself a journalist. He’s never been in the newsroom trenches and has never reported a story using traditional means. He’s more of a product architect and technologist in training, orientation, and focus. He offers the standard disclaimer that the following are his personal observations, not Google Pronouncements. He has, however, been at Google long enough, and worked closely enough with the top brass, to gain a solid perspective of the business. Google’s mission is to connect the dots between a consumer’s interests and information needs with knowledge, whether by search or social. In all of these efforts, having quality information to connect the user to is key. Richard is now applying Google’s algorithmic prowess in Search and News products to Google Plus, its bet-the-house social platform. Internally, they think of Google News as a freshness engine. A billion unique users a month read its content in 40+ languages across 70+ country-specific editions. Like elsewhere at Google, the social realm has become a major focus lately. Just last week, Google News added social discussions about a news story next to the actual news headlines. Obama’s gay marriage endorsement gets two thirds of the page, while Google+ posts from your friends discussing it sit over on the sidebar (although these, too, include updates frmo news brands like the Boton Globe and Colbert Report, at least on Richard’s account). Richard considers these days the beginnings of a Renaissance in journalism, which he admits is hard for people to hear given the recent and ongoing pains of disruption. His time at Salon provided a firsthand understanding of the challenges, but he remains excited that the future of journalism will be better than its past. He hopes journalists will be equally excited, and says he sees this excitement when he visits journalism schools. There are no longer barriers to publishing. He adds the important caveat that ability to publish does not equal ability to be heard, but it’s still a tremendous change from recent years. We are putting a printing press in every home [and every pocket], and one of those people ended up being Craig, of Craigslist. Richard addresses the common journalist critique of quality of online content. The wheat-to-chaff ratio stays about the same, he says. Finding the good stuff can take more effort, but it’s there. There are powerful technologies that effect how journalists and media companies do their work, whether it’s the use of technology in the process of reporting itself, or the technologies that impact how we distribute it. We’ve flipped the ecosystem on its head, and he’s pushed people even more aggressively of late to rethink every aspect of what they’re doing. We need to reconsider our missions and our ethical guidelines (in terms of behaviors and audience engagement, not core ethics), and the concept of objectivity. Richard sides with transparency in this debate and believes readers place their trust in the individual online rather than the brand, and expects reporters to be transparent about their views. He doesn’t buy the opaque objectivity of yore where reporters said, “Trust us,” and consumer opinion surveys bear this out. Richard’s comfortable not knowing all the answers. In fact, he says, he’s made more mistakes than anyone else. We all need to be entrepreneurs as we navigate through this period, and that means taking risks and being comfortable making mistakes. We need to learn to understand when we’ve made a mistake as quickly as possible, and change our approach. Disruption is the core of this conversation. We need to focus on the future, not the past. Richard sees the iPad as a fatal distraction for media companies. Too many publishers looked at the tablet as the road home to their magazine format, subscription model, and expensive full-page ads. The format of a single device does not change the fundamental ecosystem underneath it, and this shiny tablet has taken media companies’ eyes off of the ball. We haven’t seen any significant success stories of subscription rates on tablets. The rise of television advertising caused a contraction in the newspaper business, where major metropolitan markets went from supporting 4-5 newspapers to 1-2 papers, and these remaining papers usually had a business agreement of some sort. The limited number of remaining companies allowed monopolitistic pricing. This wealth was created by disruption, and what disruption gives, it taketh away. Going forward, we need to be deeply aware of how the underlying content economy works. How do we define products in a marketplace of niches? Newspapers’ previous dominance was a matter of geography, and to some degree demographics, but not because of their product. Tiffany’s has advertised in the front section of the New York Times forever. They wouldn’t do that online, and they don’t do that online. They don’t want to run jewelry ads against articles about people starving in Darfur. We’re seeing a disaggregation of content flows as well as advertising. Online, advertisers can target by content, niche, and demographics. Cross-subsidization was always a key part of the newspapers’ business models. The Classifieds, Gardening, and Lifestyle sections paid for the foreign bureaus. Now we have blogs focusing on these niches alone, with a much keener sense on commercialization. Richard’s slide shows sites like Epicurious (recipes), Bleacher Report (sports), Business Insider, PopSugar, Gawker, and CafeMom. Thes sites are all are going after the newspapers’ niches, and hard. Pregnant moms? Check! Richard doesn’t believe the vertical model of a newspaper makes sense going forward. He compares the metropolitan newspapers’ all-things to all-people product to content portals for specific communities. This strategy doesn’t make sense given the possibilities. Yahoo!’s initial success was as a portal. But portals have disappeared online as consumers have learned to navigate the web on their own and found the niche sites they love. Richard’s not against experimentation with paywall models. The New York Times was smart, he says, in designing its paywall with many levers to adjust revenue vs. traffic flow. It’s not there yet, but they can experiment and find what works. He appreciates those who are looking at paywalls in a more nuanced way. Some publishers say, “They bought it before, they’ll buy it again,” or “We need to get people back into the habit of paying for news.” But consumers never did pay the true costs. The Wall Street Journal pulls their paywall off because it publishes information that is perceived to have high value and is written for business audiences, whose subscriptions are paid for by their employers. The newsroom might find that the local politics section has information people will pay to subscribe to. And they might find that sports coverage is popular, but will not drive subscriptions, so they mightpeel off that brand and build advertising around it (see Boston Globe vs. Boston.com). His point is that news companies must disambiguate their content and business models and devolve from the generalist approach, which is hemmoraging both readers and revenue. Richard’s learned powerful lessons in this space. Audiences are evolving. Just three years ago, in 2009, the typical news site saw 50% of their unique traffic coming to their homepage, 20-25% from search, and 30-35% from story pages. Social was almost nonexistent. We’re now seeing the homepage receive only 25% of inbound traffic, search with 30-35%, and the rest going to story pages, a huge portion of which is driven by social networks. The Atlantic said they’re seeing 30-35% of their traffic coming from social environments. News companies need to design their product with this in mind. When you hire designers, you spend all day talking about the homepage, and work backwards from there. Given the changes in audience flow, we should rethink the very purpose of a website. [Startups like Instagram eschew any website, while startups like Upworthy are focusing much more heavily on their social presence than their homepage]. Richard argues strongly for evergreen story pages. It is not the brand, not the site, but the story itself that is the lifeblood online. Publishers should not think about editions, or even ephemeral streams of articles, but rather living story pages. Story pages are the most valuable real estate. Wikipedia was beating the Washington Post’s search results on Anthrax, despite all of the Post’s great reporting. [You’ll find journalists complaining about this sort of internet result filed under “P”, for “Parasites”] The Post publishes a stream of new articles with new URLs and sends the olds ones to die in the archives becauase they’re still producing content for the daily newspaper content model. The Wikipedia page is constantly changing and remaining updated, probably to this day, with a persistent URL where people can find it. News publishers complained to Google that their topics pages were being consistently beaten by Wikipedia. These topics pages are not updated in realtime. The newspapers redesigned the topics pages and began to see success. Their long-term answer to this question, though, was to hire batches more rewrite people to maintain these topics pages. To someone familiar with the internet, this is crazytalk. Why wouldn’t the journalist and editor, who are experts in this topic, just own this page as they own the beat itself? Shouldn’t the news articles themselves flow from changes to the topic page, rather than rewriting articles to produce an index? The changes needed aren’t just in content architecture, but in human workflow and roles. It comes back to, “How do we build trust?” Trust requires getting transparent about all of the content we have available to publish. It’s expensive to produce, so share it. Marshall Mcluhan said, “Every new medium begins as a container for the old.” Radio content started with anchors reading newspaper articles over the air. But over time, we learned to create punchy radio content native to the new medium. At Salon, articles were paginated, but only 27% of readers made it to the end of the four-page articles. Compared to competitors, Richard was told, this was a good benchmark. But with fresh eyes, he was astounded that a product was being produced with the knowledge that the vast majority of the audience would not consume the entire piece. Richard loves the long form, but if the objective is to convey information, we need to think about the right form for the right medium at the right time. He’s learned more about this from Lewis Lapham, who understands long form as well as anybody, but also that different content requires different form. What about the form and evolution of the social network post? At NewsFoo, Richard learned that ProPublica shares not just one link, but a series of posts highlighting the best nuggets from the same story on their social platforms. They understand that their presence on these networks isn’t just about driving clickthroughs. It’s about conveying as much knowledge as they can to their readers. Nick Bilton of the New York Times gets people to engage with his posts in higher numbers than click-throughs alone would suggest. Larry Page asked why we don’t do a better job of recognizing an individual person’s ‘read’ status on a story. We could tune the content of a news product to reflect that user’s personal experience. He also wondered why reporters don’t do more footnoting (Page has an academic background). These questions again bring us back to the overarching question of how we rebuild trust. We’ve said, “Trust us. We’re professionals.” If you look at consumer surveys on trust in media, it’s clear we’re not winning that game. Richard saw people flocking to video because they heard about higher CPMs, but production costs for video are much higher, too, and not always in a way that balanced out in a profitable manner. At Salon, Richard constantly analyzed revenue per thousand page views vs. cost per thousand page views, unit by unit, story by story, author by author, and section by section. People didn’t want to look at this data because they were afraid that unprofitable pieces would be cut. It was the same pushback years before with basic traffic data. People in the newsroom didn’t want to consult it because they assumed you’d end up writing entirely for SEO. But this argument assumes that when we get data, we dispense with our wisdom. It doesn’t work that way. You can continue producing the important but unprofitable pieces, but as a business, you need to know what’s happening out there. Requesting politely to stay in the dark will not serve journalism. Adrian Holovaty, Founder of EveryBlock, was an intern for the Washington Post back around 2007. The Post published a 45,000 word series on DC public schools after months of investigation (“that probably 45,000 people read, but the right people”). Adrian built a site that multiplied the value of the reporters’ efforts, where readers could look up their childrens’ schools. Sadly, the Post didn’t maintain the site died after the story passed. Richard would like to see investigative reports written in Fusion tables and query strings rather than (or in addition to) narrative. These projects actually present monetiziation opportunities; with the school-lookup example, you know the viewer has kids in that specific part of the city. Reporters are the biggest expense, and most precious asset, within a news organization. We want to get all of the value we can out of their work. The online medium can accomodate the full expression of a reporter’s work, so there is a huge value in developing tools to optimize their efforts. We talk about the backend CMS a lot, but how do we equip the reporter to absorb and report everything quickly? This isn’t rocket science; the components are there. But we need to meld what’s available into tools for a reporter that work with the backend to make their work more seamless. “The right approach for the right medium at the right time.” Richard heard a guy from Forrester or McKinsey or somewhere say that, in periods of disruption, only 50% of the players from the prior era might make it into the new environment. So, when the net blossomed in the 90’s, why didn’t newspapers respond then? Because classified ads were a cashcow and CEOs were responsible to Wall Street, so few had the courage to see Craigslist as a threat and blow up their cashcow. And that is the Innovator’s Dilemma. The giants won’t eat their young. The Ben Huh’s have the advantage of a very fresh slate. Successful news organizations, moving forward, will understand how to leverage the assistance of the trusted crowd. We have many examples of curators relying on their audience to produce amazing work. Given the constant rate of change, where does the product development team literally sit in the organization? Richard recently visited El País, in Madrid, and learned that they put the product development team smack in the middle of the newsroom, where they could interact with everyone else on a daily basis. Richard would like to see editors and writers concerned with the format and technology of the story page, but didn’t see this very often at Salon. The organizational structure of news companies has barely changed in years. They’ve added color. But they didn’t have any reason to think about the evolution of the product. Ideally, you’d like to see the people doing the work thinking about the nature of the product as it evolves. Might we benefit from systems that allow small news organizations to collaborate more effectively? The cycle of change is simply too rapid. Innovation is not a luxury and cannot be intermittent. Our view has to be constant and part of an organization’s DNA. “I deride the notion of Chief Innovation Officers.” That job belongs to the CEO. If there is a CIO, they should be focused on changing processes to allow for innovation. We think of Google and Apple as innovative companies, but we forget about the extent of their innovation. These nice MacBooks came out of every part of the organization, including manufacturing and materials. At Apple, thinking outside the box INCLUDES the box. Google’s innovation isn’t just on the product side, but on the data center side. You want everyone in the organization thinking how to do things in a new and improved way. We’re competing against startups who work with a clean slate, thinking in an opportunistic way (as they should), with no traditional vehicles, business models, or customers to support. Given the chance, no one would choose to roll back the internet’s advances over the last 15 years. But human nature’s interesting, and the internet does enable amplification of any given human thought. That’s allowed the more cynical among us, whether political institutions or media organizations, to discount aspects of it. Media companies have learned that affirmation is more powerful than information. Ted Turner actually believed in the educational role of cable news programming, but things obviously didn’t pan out this way. Can journalism’s future be stronger and better than its past? The truth is, it has to be. That’s why we’re here. Q: You talked about trust in the brand vs. trust in the individual reporter. Will brand still matter? Richard: Brand is relevant, but its an umbrella collection of individual brands. And you want to have those individual brands. Publishers are debating whether they want their writers and reporters building brands, lest they ask for a raise or take them when they leave the organization. But if you don’t build those profiles, you lose. Users recognize how you treat them and pick up little signals that affect their trust in you as a publisher. To make a point at a panel with Krishna Bharat, founder of Google News, Richard offered him all the cash in his pocket for better placement for Salon’s content. Newsboxes and newstands were never a free distribution system for newspapers, and we shouldn’t expect the same online. Q: American publishers banded against radio when it grew in popularity, and attempted to get Congress to ban the reading of newspaper content over the airwaves. But Colonel Robert McCormick ran the Chicago Tribune and founded a radio station, WGN (which stood for World’s Greatest Newpsaper), but at least he wanted in on the next new thing. Can news publishers work with Google productively? Richard: If there’s a publisher out there who’s not comfortable with aggregation, all they have to do is change the robot.txt protocol on their sites, and it won’t get crawled. A month or two after flipping that switch, publishers come back after having lost 20% of their inbound traffic. As far as applying monetization platforms, there’s more work Google wants to do to optimize monetization opportunities. Google does recognize, deep in its core, that their business is to connect the dots between people’s interest and underlying knowledge. That business only works to the extent that there is sustainable production of underlying knowledge out there. They’re interested in how to properly enable the evolution of journalism in a way that’s good for society, and believe that this evolution will be good for Google, as well. Innovation by acquisition can work, as well, as some newspapers did with radio stations. But the underlying spirit of entrepreneurship is, that you play the game as fast as the rules are changed. Q: When Google News was launched, there was a line bragging that no humans were used (or harmed) in its assembly of the news. But now Google is invested in social. What overlap will there be between news and social? Richard: It is still the case that no humans are involved or harmed in the assembly of Google News. Clearly the social ecosystem is a huge source of expression, with the same wheat-to-chaff ratios. The line between social expression and news increasingly gets blurred as this expression takes place. We are explicitly leveraging our algorithmic expertise into that environment, as well. Google Plus now features a “What’s Hot” stream, and portions of that can reach the main Google Plus stream. Certain other unnamed social networks have had some degree of success in the medium. But the history of social networking is, at best, in its first chapter. For anyone to think it begins and ends with what we’ve seen in the last five years is not really recognizing the nature of the ecosystem as it evolves. Social networking isn’t just about the people you know [Facebook]; it’s also about the people you don’t know and might want to know [Twitter]. It’s all algorithmic: how do we look at the corpus and surface the interesting stuff that’s out there? Richard: The ethics don’t change — the journalists’ efforts should not be tied to the business. Advertisers have always wanted more than we should give them. You find a way to balance revenue with editorial integrity. Q: What are Google’s plans in the local news space? What do you think about AOL and Patch? Richard: I don’t have much to say [about Google News’ approach to local news]. I don’t think social ecosystems have surfaced local content as well as they could. On Patch, my personal opinion is that I never understood the business model behind it. I saw the pitch before AOL acquired them and don’t feel terribly comfortable about the business side of the model, because it’s reliant on a core proposition that no longer exists: that advertisers, in general, will place ads against aggregations of audience by geography. Think about car dealers. Along with department stores, they were the bread and butter advertisers for newspapers. This spending has moved to search, because that’s what you do when you’re looking for a car these days. That core model, of adjacency, doesn’t work. I like the product idea, but I haven’t heard much out of AOL to say that the business side has been solved.